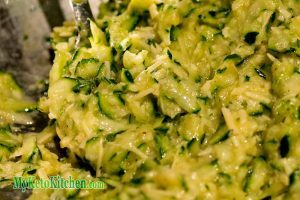 Keto Zucchini Fritters - Gluten Free Breakfast with Parmesan - Delicious! Looking for a new and interesting way to eat your vegetables? 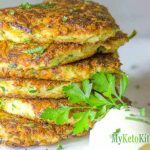 Keto Zucchini Fritters are quick and easy to whip up as a side or just eat them as a snack. Pour oil into a frying pan over medium heat and scoop heaped tablespoons of the fritter mix into the hot oil, pushing them gently into a flattened, round shape. Depending on the size of your pan, you may need to cook these in a couple of batches.